New stuff from Mattes pads! To the right you see their Eurofit dressage pad -- a relatively new option. I inquired about the purpose of the different contour, and the Mattes rep said that people on smaller horses tend to like the Eurofit because the smaller pad/contouring fit the petite framed horse -- it did not "swallow them up." Personally, I have no opinion -- not having a small horse, I wouldn't go out of my way to get one in this shape. The big news is, NEW COLOR!!! 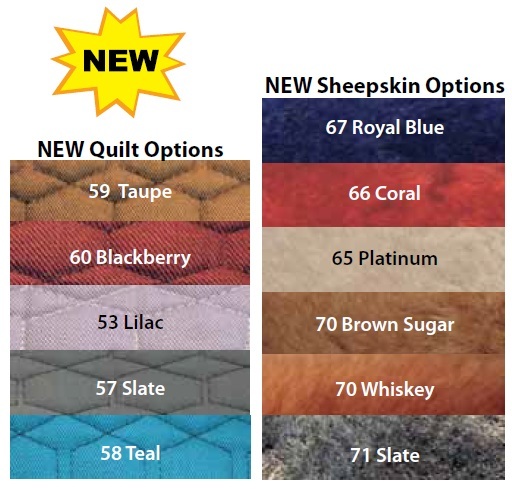 The colors below are not really very good representations of the new color palette offered for Mattes pads. The taupe is a true taupe, not quite khaki, not quite brown, not quite gray. I ordered a new dressage pade in the taupe with champagne piping from VTO Saddlery. 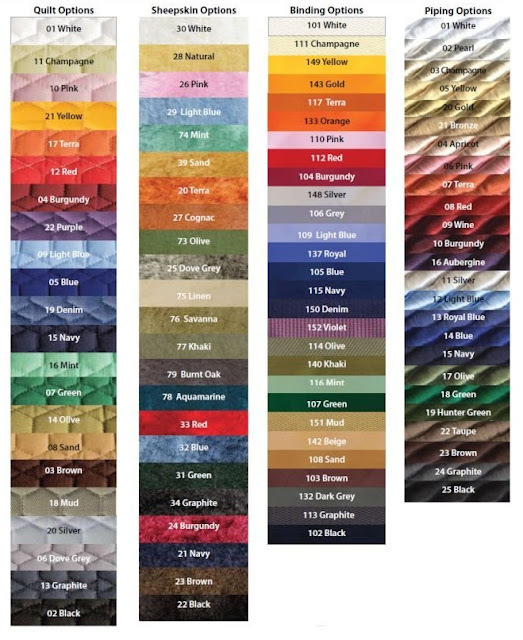 You can view a catalog of all of the colors from Mattes at World Equestrian Brands. Ooh, the teal is really pretty. Sooner or later the colors will start to show up in the competition arenas--that will be a nice change of pace. Oh great, now we can ride in horses in a more a stylish way! Wish I could afford a 2nd one! I have a nice Fleeceworks 1/2 pad in white. My saddle was brand new when I got it and some of the dye has rubbed off on the pad and won't come off in the wash. I can only dull the color a little bit. Maybe I'll have to put this on my Christmas list for next year. The new shape on the Mattes pad is good for horses with short backs, too. I have a 16hh OTTB who is very compact--not a lot of barrel room for him to feel my leg. And some of the "regular" dressage pads really are too large.